Shepard's Staff Ministries recently received a $225 donation from WCF. Photo Caption:Presenting the check from left to right are: Joe Allmaras, Woodforest National Bank Retail Regional Manager; Danny Sorrells, Shepard's Staff Ministries Board of Director; Megan Herndon, Shepard's Staff Ministries Executive Director; and Sonja Thompson Woodforest National Bank Retail Branch Manager and Shepard's Staff Ministries Board of Director. 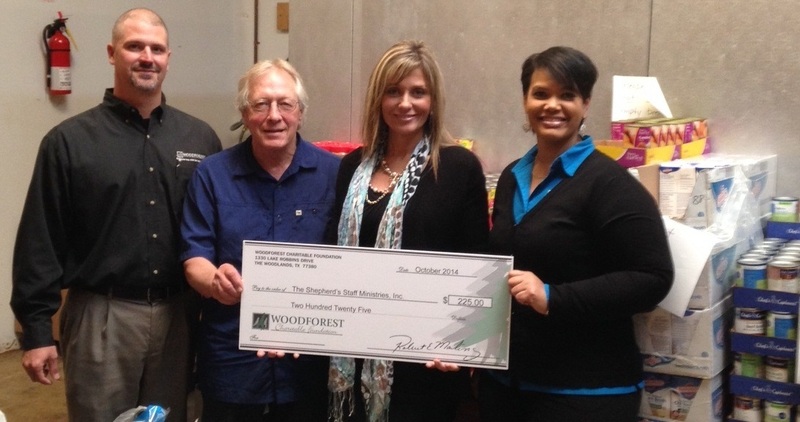 Shepard's Staff Ministries recently received a $225.00 donation from Woodforest Charitable Foundation.